Jump Factory is Basingstoke’s first indoor trampoline park! 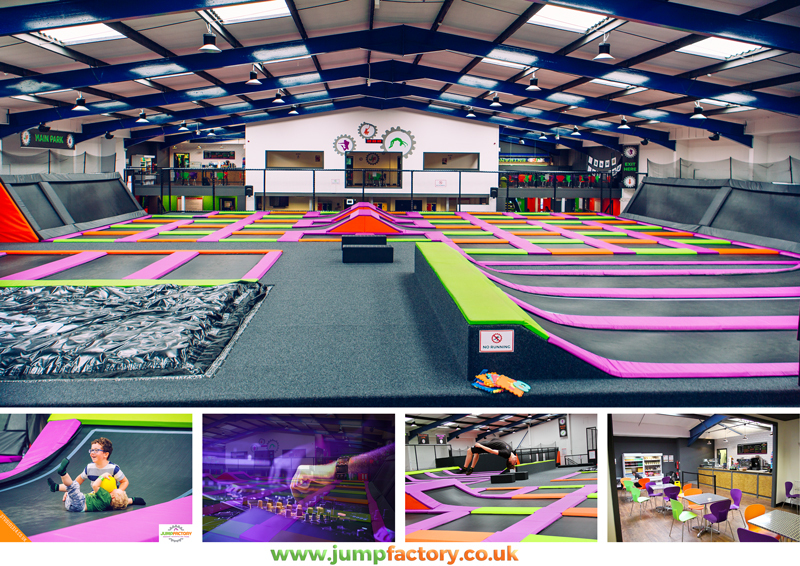 A world of interconnected trampoline awesomeness awaits you – whether you’re a first-time jumper, a seasoned pro, a toddler, or an athlete looking for somewhere to test your limits, Jump Factory Basingstoke is sure to have something for you! Open Jump - ‘Open Jump’ sessions are perfect for all jumpers age 5 plus. Jump Fitness - Low impact, high intensity, and a whole lot of fun, our Jump Fitness classes are ideal for getting in shape. SEN Nights - Our Special Needs sessions are exclusive jump sessions open to people with special needs, their family and their carers. Special Events - We will host events such as DJ Jump, Mini DJ Jump, Halloween Parties, Valentine Celebrations, Christmas Parties including visits from Father Christmas! Birthday Parties: Give them a birthday party to remember with a Jump Factory trampolining session! If you are planning to visit our trampoline park, please book in advance to avoid disappointment! If you have any questions for us, please don’t hesitate to email info@jumpfactory.co.uk - we’ll get back to you as quickly as possible! Open Jump sessions are for 5 years and over. Tickets cost £10. Off peak tickets are available from £6.50, please find details on the website. Mini Jump sessions are for 5 years and under. Tickets cost £3 per person. Children must be accompanied by a paying adult. Give them a birthday party to remember with a Jump Factory trampolining session! 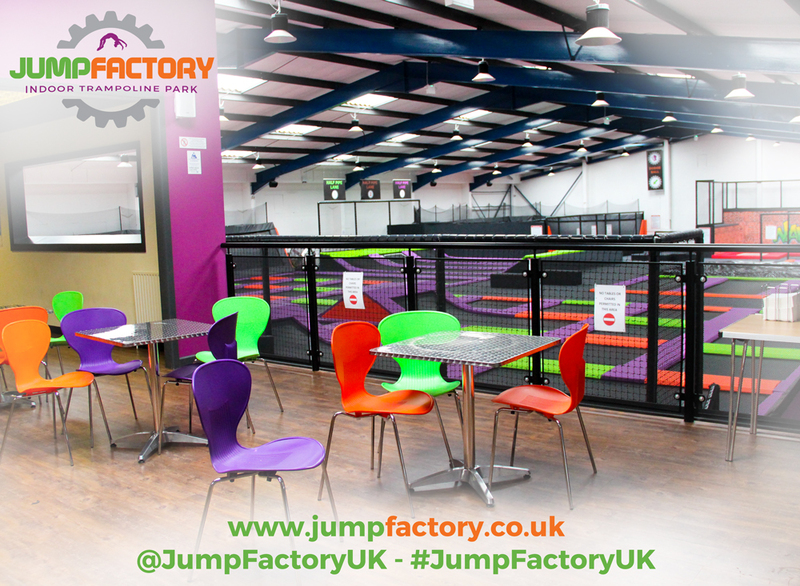 Jump Factory trampoline parties offer guests an hour of epic fun, plus food and drinks, for just £15.95 per person. And, as an added bonus, all the kids will be thoroughly contented and worn-out afterwards! Please note: Party goers join in with our 'OPEN JUMP' Sessions and all participants need to be 5 years of age and over. 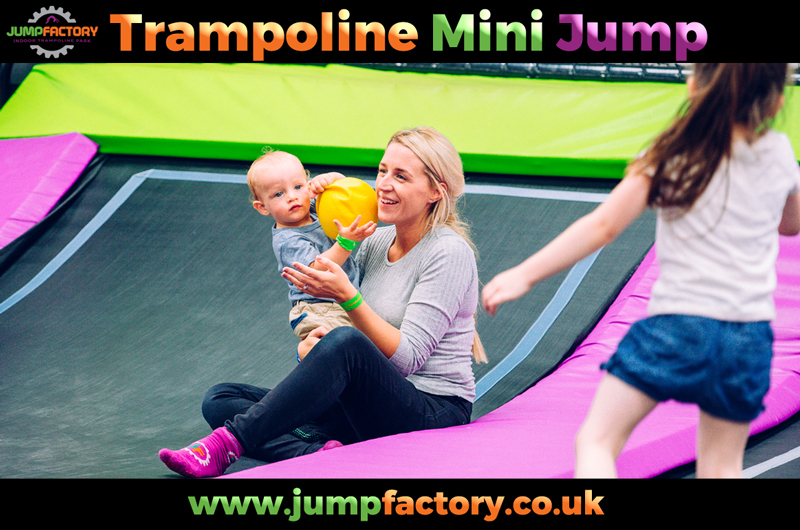 Interested in organising a trampoline party for your Mini Jumpers? Please contact Jump Factory for more info! Free Jump Factory grip-socks for every party goer. 30 mins VIP hire of one of our party rooms. You’ll also be assigned a party host to help check you in, set up, entertain the troops, and even clean up after them! Feel free to bring your own cake and candles.